I promised a couple of weeks back to post a Wags Register Reward FAQ. Here it is! If there is something I missed or you think I should include let me know. The Register Reward Program can be a great way to get items FREE or inexpensively at Wags. It can be very confusing at first but once you have the hang of it you'll be rolling deals easily! Register Rewards (RR) are similar to Catalina coupons, they print out of the Catalina machine after you have purchased certain qualifying products. 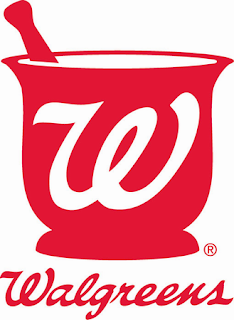 They are manufacturers coupons intended to be used only at Walgreens (even though I have heard of other stores accepting them). They are just another way for the manufacturers to incentivize shoppers to purchase their products. They are cost effective for the manufacturer because they won't have to pay on every one since many of them won't be redeemed. For example if Crest is $3 and you get a $3 RR for purchasing one but never use the Register Reward, the manufacturer doesn't have to pay the $3 on that Register Reward and you have purchased the item they wanted you to buy anyway. Here are some basic FAQ about Register Rewards. If you have another question, leave a comment or e-mail me and I'll be sure to answer it and add it to the list! There are RR deals that vary weekly, others that only last for a few days (like a 4 day sale) and still other deals last all month long. I will post all of those deals here, either in the weekly ad or under "monthly deals". Generally they are good for 2 weeks from the date they are issued. Occasionally I have received a RR that was good for only 1 week. That is why you'll want to learn how to best "roll" your register rewards. Rolling is using RR you received from buying one item or group of items, to purchase other items that give RR. So for example if Crest is $3 giving a $3 RR and Glade is $3 giving a RR then I can use the Crest to pay for Glade, Glade to pay for Crest and I can just go on "rolling". The other benefit of "rolling" is you can extend the expiration date of a RR, giving you more time to use it towards something that you need. Each RR will tell you what manufacturer it's from. In the Crest example the RR would say Proctor and Gamble or P&G on it. Each RR will tell you what company it came from. If you have 2 RR from the same company but they are for different amounts you can usually roll between them. What does it mean when you say a RR or a product is "Rolling"? If a RR is rolling, it means it's rolling on itself. So for example let's say the Gillette razor RR is for $4, if it's rolling it's allowing you to buy another Gillette using the Gillette $4 RR and it's producing another RR. This is unusual but occasionally it happens (most often on P&G products). You can't use more coupons in a transaction at Wags then you have items. RR are considered coupons. So if I'm buying 5 items I can only use 5 coupons or RR combined. Wags Qs don't count towards that total. Is there an order in which I should hand in my RR and coupons?